The long-lasting, ultra-volumising "fake eyelash" formula creates a dramatic effect that continue to look freshly applied for hours on end. 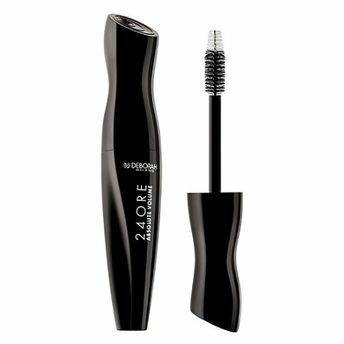 It has an over sized brush that adds instant lash volume. Enriched with Triple Carbon Black Complex to create pure, intense and amazingly deep colour, as well as natural Gum Arabic to coat and protect the eyelashes. The fragrance-free formula minimizes the risk of irritations.